SEO Consult offers a wide palette of marketing services such as Search Engine Optimization, Search Engine Marketing, Reputation Management, Link Building, Consultancy Services and Web Designing & Development. Our specialists analyse your business current marketing situation to suggest the best service campaign for steady business growth. SEO service ensures that your site is accessible to a search engine and improves the chances that the site will be found and ranked highly by the search engine. Our experts will help you to turn your visitors into customers. We'll analyse your website and develop a conversion-rate strategy. SEO Consult will analyze your keywords and determine how your audience is searching for your business. Our full service PPC account management service will save our clients time and money. 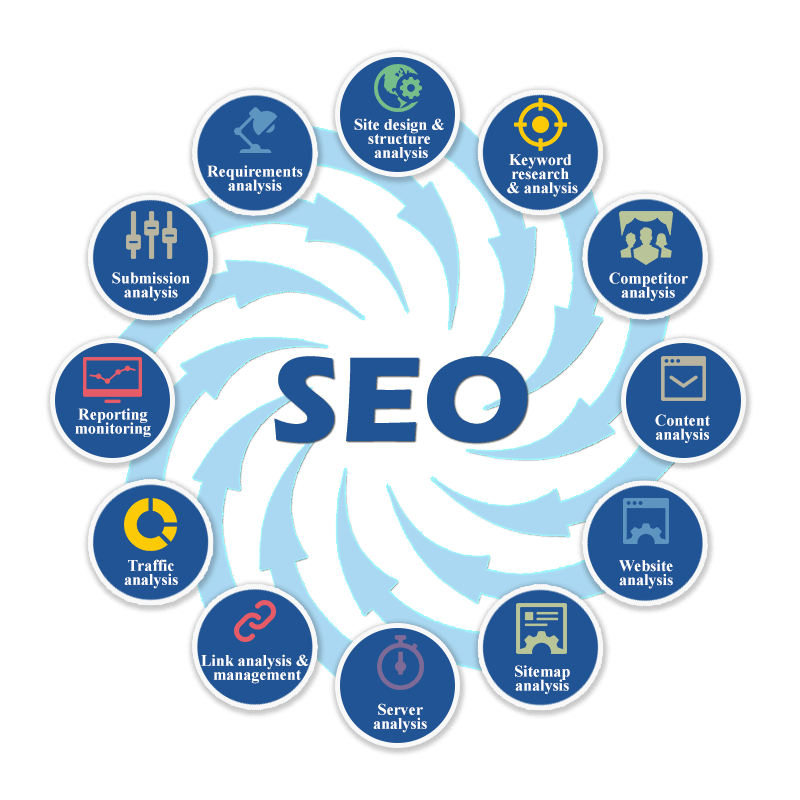 SEO Consult will perform profound technical SEO, content, link & competitive research & analysis.